Have you tried Liberté Méditerranée Yogurt? I will admit that I have given it a glance or two on the grocery store shelves, but had never given it a try until this week. We finally gave Liberté Méditerranée Strawberry Yogurt a try for dessert--so, how did Liberté Méditerranée Yogurt stand up to review in our little corner of the world? Liberté Méditerranée Yogurt is a full fat yogurt. Don't be surprised if you get a bit of nutritional label, sticker shock. Liberté Méditerranée Strawberry Yogurt Liberté Méditerranée Strawberry Yogurt is made with whole milk and cream along with nonfat milk, cane sugar, strawberries, and yogurt cultures as well as small quantities of pectin, milk protein concentrate, fruit juice and natural flavors. A 6 oz. cup will cost you 230 calories and 12 g. of fat. The fat and calorie content may make it best suited as a grab and go breakfast or as a dessert. How did Liberté Méditerranée strawberry yogurt taste? It actually tastes very good. We topped with almonds and a few white chocolate chip and served chilled for dessert. It is very rich and creamy. It tasted a lot like strawberry preserves and fresh cream. It is nothing like the chalky, sour, full fat, fruit on the bottom yogurts that I remember from other brands in years past! Would I recommend Liberté Méditerranée yogurt? I cannot compare the Liberté USA yogurt to its Canadian counterpart as I've not tried the original brand from Canada. 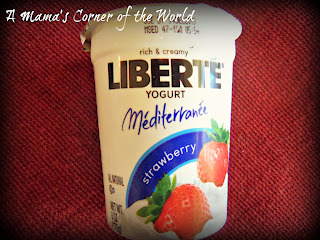 I can say that the Liberté USA yogurt itself is very flavorful and does taste very good. I am always a little critical of "all natural" labels. In this case, I believe that the Liberté USA yogurt is not certified organic and is not GMO free. The Liberté brand in the U.S. is owned by General Mills and they have yet to offer an organic/GMO free Liberté product that I've discovered. I would certainly recommend the brand to anyone seeking a flavorful, full fat yogurt--it made a delicious dessert alternative. However, I do hope that General Mills also pursues an organic/GMO free offering in the future as I would LOVE one that tastes this great! Disclosure: I received coupons for free trials of this brand--but, all opinions in this post are my own. 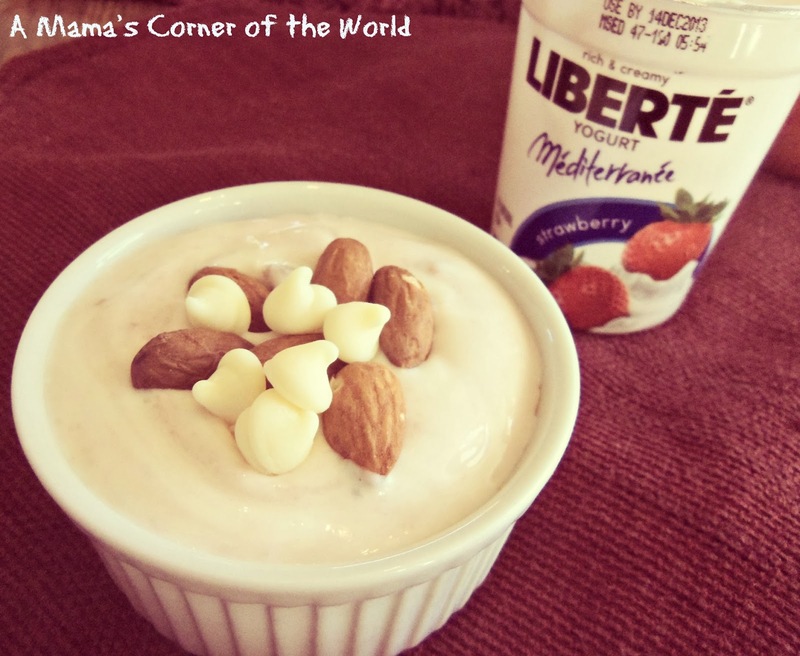 Would you like to learn more about Liberté Méditerranée yogurt--or try some? Check out the Liberté USA Website or the Liberté USA Facebook Page for more information, special offers, etc. Feel free to grab this coupon to Save 50¢ when you buy ONE CUP any flavor Liberté® Greek OR Liberté Méditerranée®yogurt. And....if you would like to see a GMO free/ organic offering--let them know! They won't know what we would like to see on our store shelves if we don't tell them!